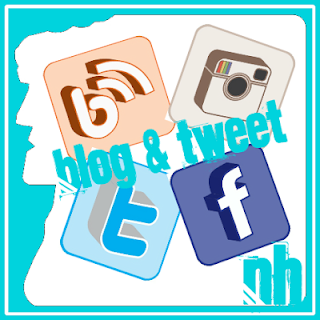 Four Pines Brewing Company, Hampton, NH – Breweries, Wineries and the fun in between! 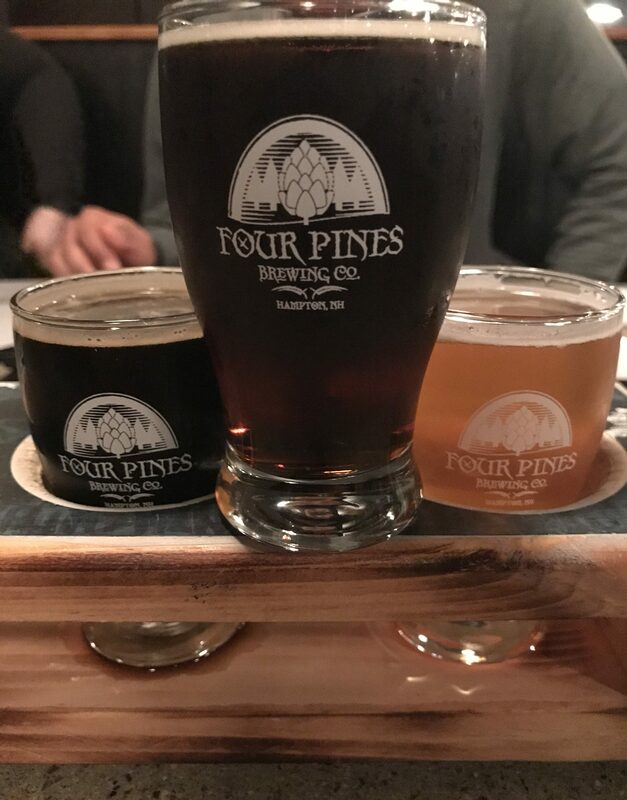 We visited Four Pines Brewing Company a little while back with our friends Bre and Deryl. 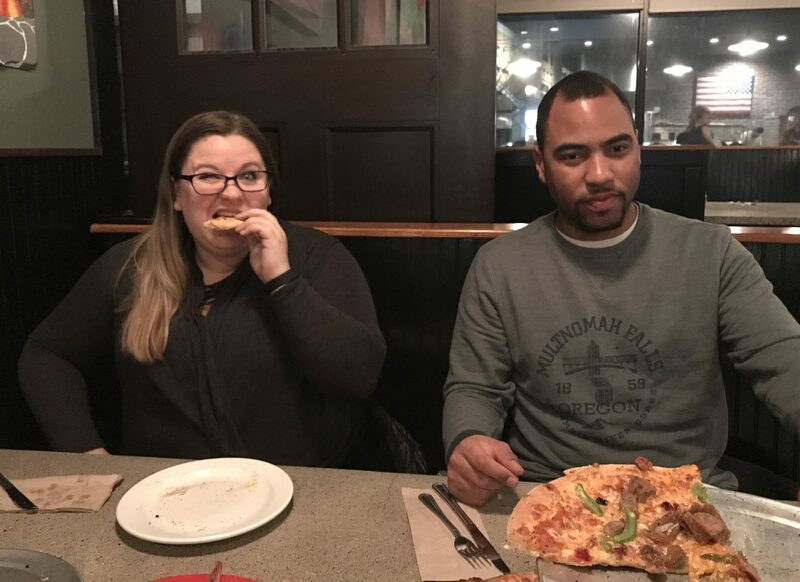 We went for pizza and beers. 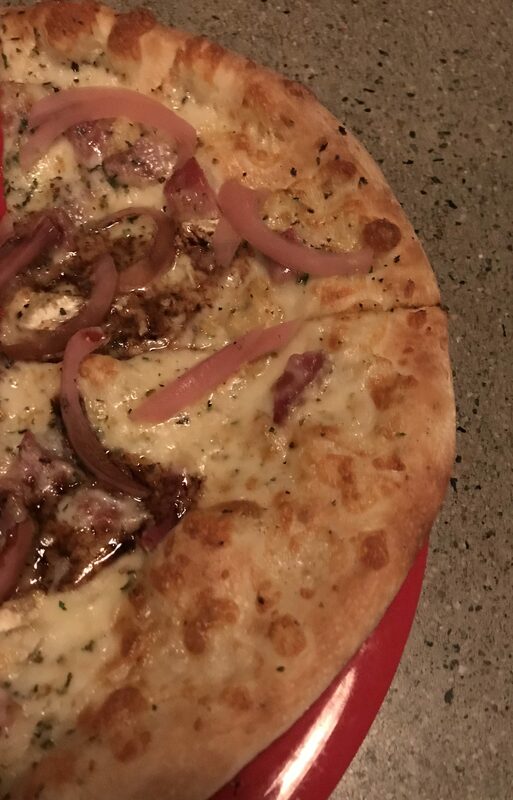 We have had The Community Oven pizza before and it was good, so we went back. 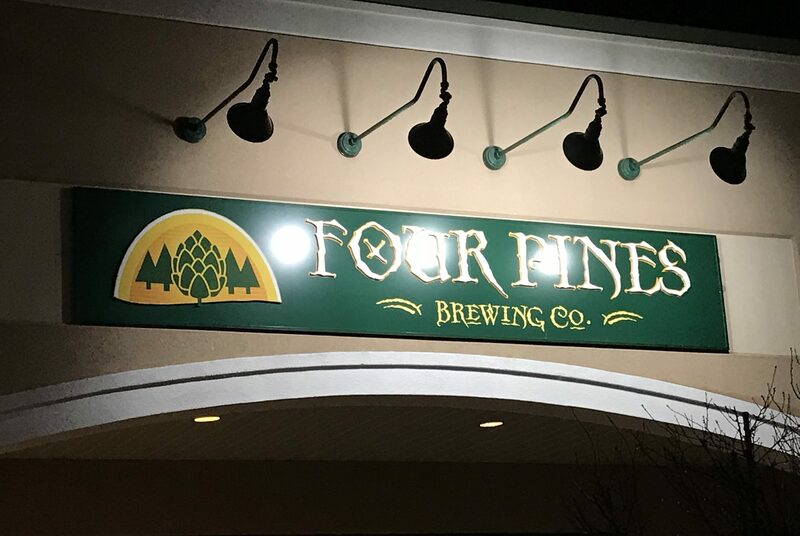 Four Pines Brewing Company opened about a year ago. They are in the old space that was occupied by Blue Lobster, they took over the space and the equipment. 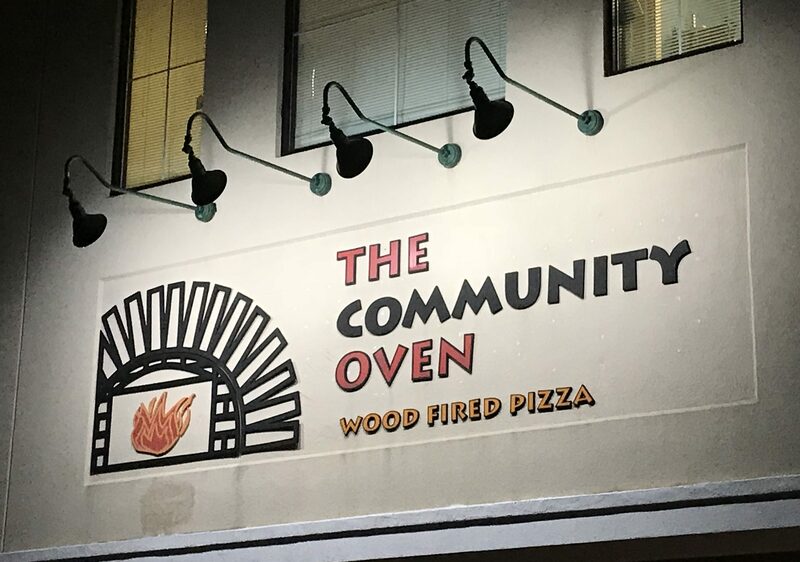 They are owned by the Community Oven and located right next door. They are connected by a doorway and serve pizza in the brewery and beer in the pizza shop. Mark ordered a flight of 4 beers to try. They didn’t have very much info about the beers in the menu, just the names of the beers. We would have loved to read a little bit about the beers before ordering. Sweet and malty, typical amber ale. Mark said it was decent for an amber, Megan said eh. They sell this in 6 packs now. A touch sweet, toasty, pretty decent, not a bitter porter. Megan said basic, but not bad. Dry and a bit roasty, a touch bitter as well. Mostly hazy but still see through. This was a very malty dipa, it might be kind of hoppy but all Mark noticed was the malt, not his style, malty and sweet. Hoppier than Blue Dragon to Mark. Piney and hop bitterness up front with a strong malt backbone, not great. Small special pizza, The Oven’s Meat-Za Pizza. 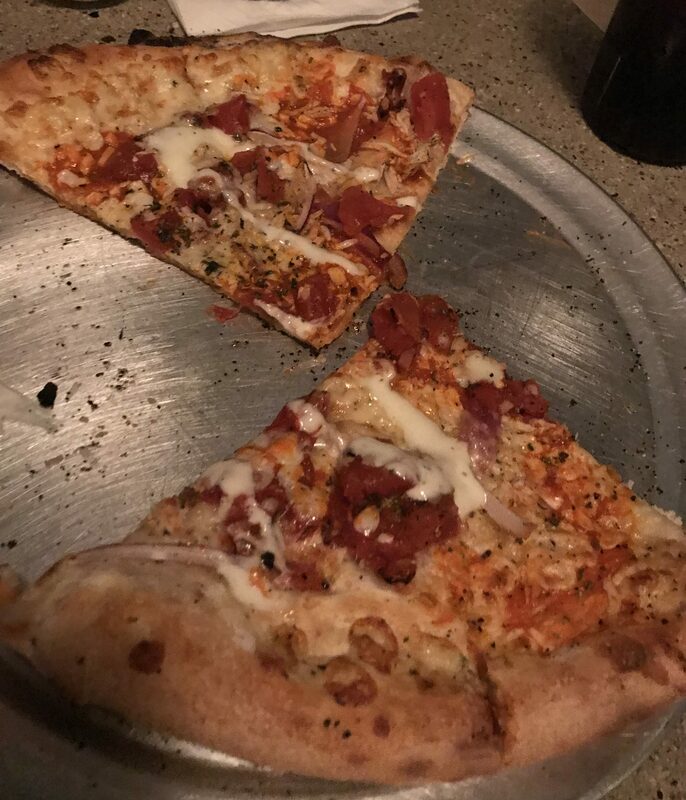 The pizza was really good, all three were. 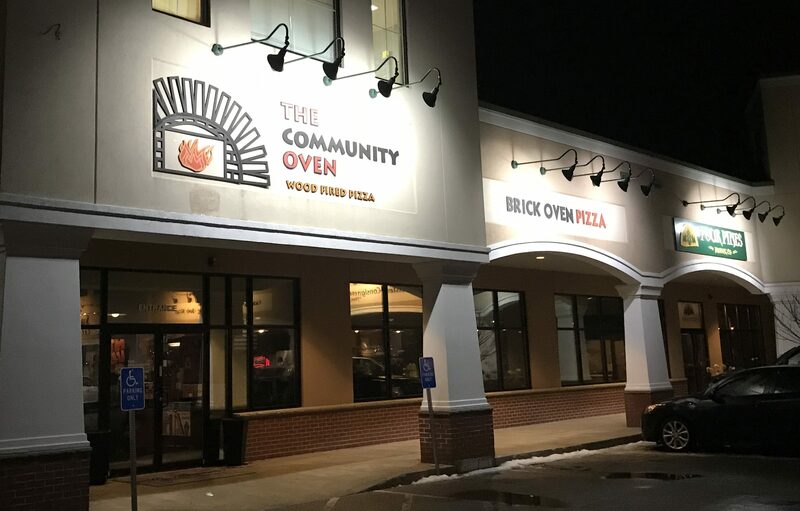 We sat on The Community Oven side, but both sides serve pizza and Four Pines beer. It doesn’t seem like they put a whole lot of effort into supporting the brewery. They don’t really have a presence in the brewing community or go to any events, we actually never hear anything about the place. 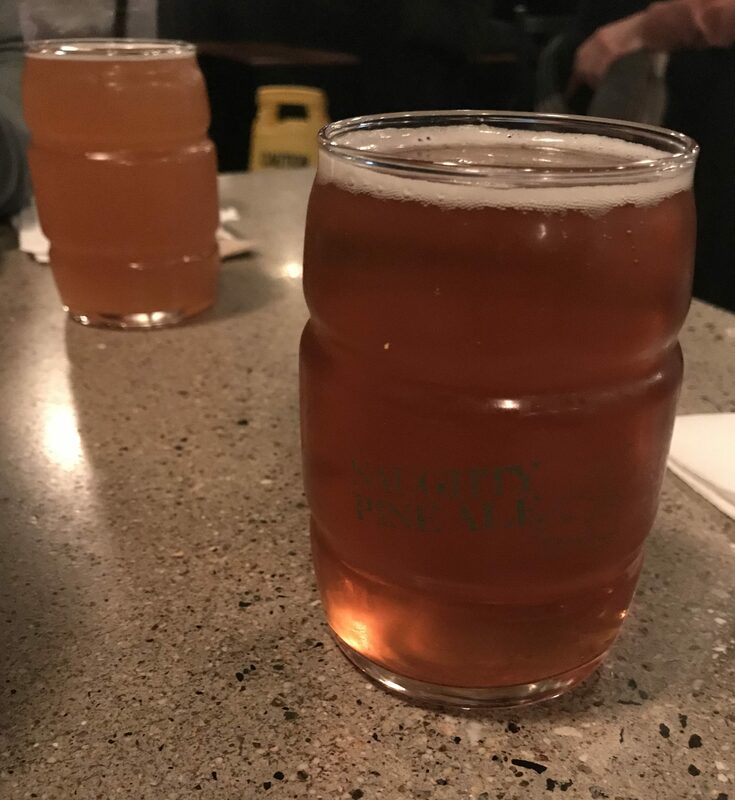 They also haven’t update the Community Oven website with the brewery information, as they still have Blue Lobster listed on their beer list, which closed around 2 years ago and they don’t have the Four Pines beer listed on their beer menu online. 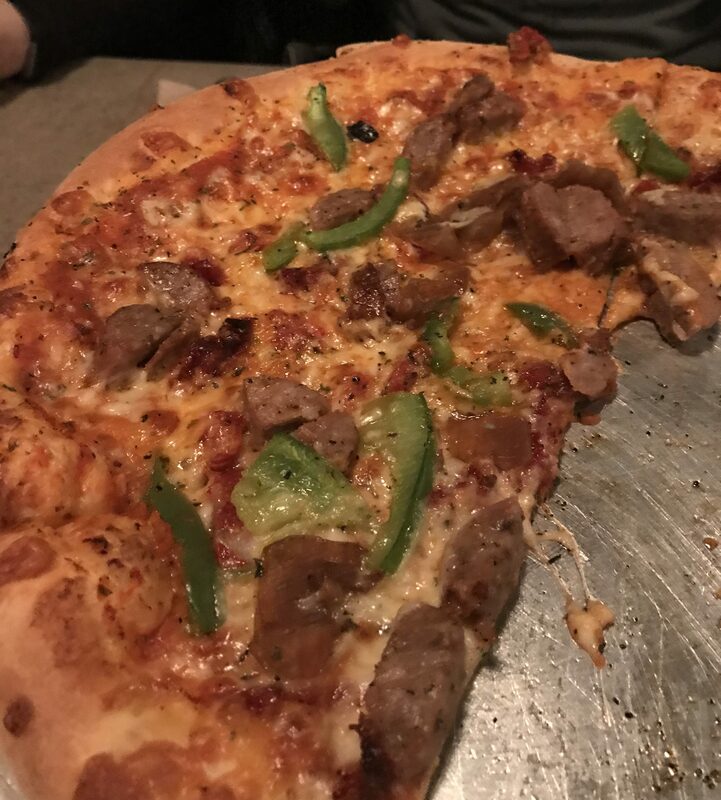 Go for the pizza, and try the beer while you are there.